Top-of-the-line with a quad-core processor and our best wireless, the Roku Ultra is perfect for heavy streaming in HD, 4K, and HDR. Don’t just watch your favorite shows, be immersed in them. Whether you’re streaming in HD, 4K, or HDR, you’ll get picture quality that’s optimized for your TV with crisp details and rich color. Moreover, Roku Ultra allows you to use USB port for local playbck or micro SD for extra channel storage. With it, you are free to play any MP4 files stored on your USB flash disc or other device, however, many of you may meet this problem, that you cannot play the local MP4 on Roku Ultra? What’s going on? Normally, MP4 is just a container which inludes different video/audio codec, however, what video codec, video file types Roku Ultra supported are limited, so when your MP4 source file is not supported by Roku Ultra, how to do? Before we go any further, I have prepared Roku official supported media formats like below for you to make references. Note: Refer to this link to know more info about Roku supported media formats. To release you from all those scratching issues, a more powerful media conversion tool called Pavtube Video Converter for Windows/Mac (best Mac Video Converter Review) is recommended to you, this program has full compatibility for all MP4 video encoded with various different codec, you can easily transcode Roku unsupported MP4 video to Roku playable H.265/H.264 codec for better playing with USB drive or streaming with Plex Media Server. You also can import MP4, MKV, AVI, VOB, WMV, MOV, M4V with 4K/HD/SD resolution to H.265/H.264 MP4 for playback on Roku. Moreover, with this video converter, you are able to adjust video audio codec, frame rate, resolution, bit rate, sample rate, channels as you like. Below we will show to how to convert unsupported MP4 to Roku playable H.265/H.264 MP4. Its Mac version has the same operating procedures. How to Stream and Play MP4 Video on Roku for via USB or Plex? 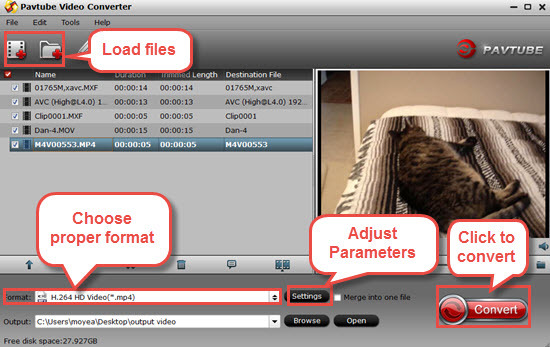 Step 1: Input unsupported 4K videp into the program by clicking File to add the MP4 you want to convert from the folder. Or you can directly drag or drop the file to this software. By the way, batch conversion is also available here. You can covnert several clips at a time. Step 2: Choose Roku 4 supported file format. 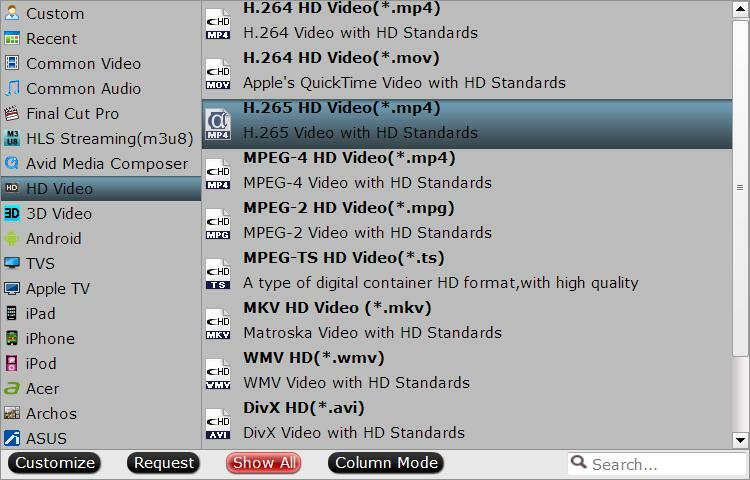 As H.265 codec is favorable by most 4K TV, you can choose to output "H.265 HD Video(*.mp4)" from "HD Video" main category list for streaming MP4 video to 4K TV via Roku 4. Step 3: Start MP4 to Roku supported format conversion process by pressing the Convert red button on the UI, wait for a while, go to the folder you set as output place to get the generated file. Now you will be able to transfer the converted MP4 to Roku for playback on your TV. My Ideal ISO Streamer: Roku 3 + Plex - Does This Exist?